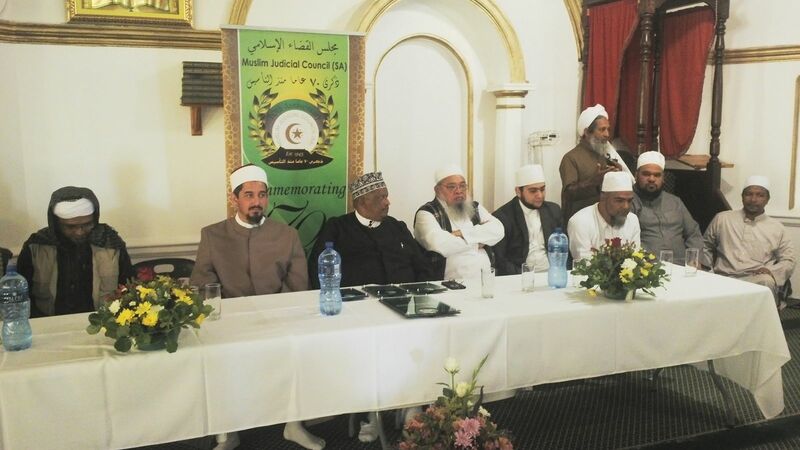 The Muslim Judicial Council visited the Stellenbosch Muslim Community on Sunday, 22 November 2015 as part of its 70th Anniversary community program. The MJC delegation was headed by MJC President Mln Ihsaan Hendricks, First Deputy, Sh. Riad Fataar as well as members of the MJC Executive Council. The program sort to honor previous and current members of the MJC who contributed significantly to the development of Islam and the Muslim community in general. The program honored the late Shaykh Nawawi Tofey (RA), the late Ml. Ibrahim Adam (RA) as well as Im.Fuad Samaai. Family members of those honored offered heartfelt accounts of their departed relatives’ contributions to society and the intense love they had for Islam and its development.